The Phantom Flex is a 2.5K digital cinema camera providing exceptional flexibility in all areas of high-speed image capture. Depending on the shooting mode and resolution, the Flex is capable of shooting from 5 frames-per-second (fps) to over 10,750 fps. The Phantom Flex offers two user-selectable shooting modes, each adapted to a particular shooting environment. In Standard Mode, the Phantom Flex is just like any other Phantom digital high-speed camera. 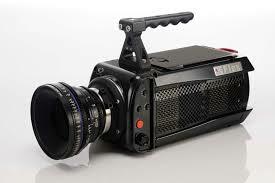 Shoot at resolutions up to 2560×1600 pixels at anywhere from 10 frames-per-second up to 1,455 frames-per-second (fps). Maximum speed increases as the resolution decreases – up to 2,570 fps at 1920×1080, 5,350 fps at 1280×720 and 10,750 fps at 640×480. In Phantom HQ Mode, Vision Research’s proprietary Academy Award® winning image enhancement technology results in electronic image stability for stable blacks, low noise, higher dynamic range and repeatable shots at all settings without the need for pre-shot black references. Maximum frame rates in HQ mode are about half those in Standard mode, which means that in HQ Mode Flex captures images at speeds up to 1,275 fps at 1920×1080 or 2,640 fps at 1280×720. With a video workflow, the high-speed digital camera offers a video signal on the dual-link HD-SDI ports independent of the camera resolution. Set the resolution to 2560×1440 (16:9), and the camera will automatically scale the oversampled image when rendering the video signal. This technique increases the dynamic range and decreases noise in the video signal. The Phantom Flex high-speed digital camera accepts a wide range of industry standard lenses. 35mm (PL, Canon EOS, Nikon F), Super16m and 2/3″ lenses are all compatible.